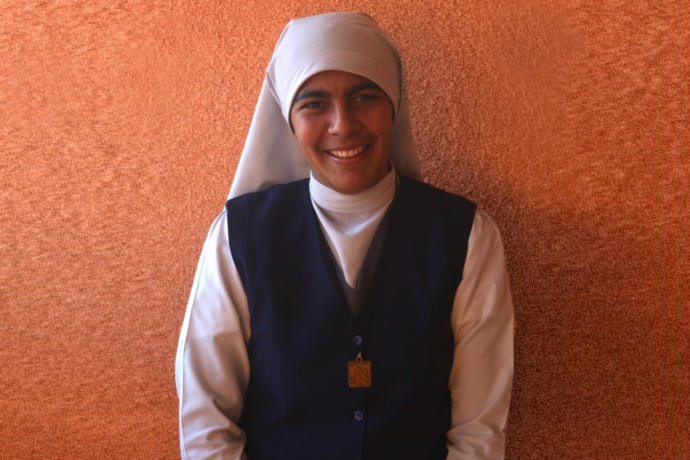 An Interview with Madre Claudia - Gracia, Inc. In February, Gracia’s board of directors met in Guatemala for a meeting. During that time, board member Charles Harris had a chance to sit down with Madre Claudia, who oversees the Casa Hogar, and ask her a few questions. CH: What impact does the Gracia/Milagros program have on the Casa Hogar? MC: Gracia is the first sustainable program in the history of the Casa Hogar. The older girls who are in need of a transition plan have a program to teach them independence. We also we use Gracia/Milagros as an example for other volunteer programs who come to the home. CH: What are some of the ways in which the program helps the girls and the home? MC: It helps them in many ways. In the process of creating new things they learn to become proud of their work. It also helps them learn how to be employed and grow as young adults. These are the first girls to graduate from high school and go straight to university. That has not happened before. There is also a financial return to the home that improves the lives of everyone here. CH: What changes have you seen in the last couple years? MC: The program has grown quite a bit in terms of orders and business. But the growth in personal responsibility and independence among the girls is the biggest change. CH: What do you think the girls are learning about themselves? MC: These girls are learning what they are capable of achieving. They understand what it means to hold a job and to work together in a group. Clearly, their strength from inside has really grown. CH: What is the relationship between those in the program and the home? MC: I think the respect of the girls for the home and the nuns who take care of them is important. The communication between Gracia and the home has been very helpful in the success of the program. CH: What are your hopes for the girls in the program? MC: I hope that once the girls leave they will take the teachings of the home and the program to use as a foundation in their lives within the community. I also hope that the girls who complete the program will be able to return to the Casa Hogar as visitors or supporters. My wish is that they all keep a connection to the home.